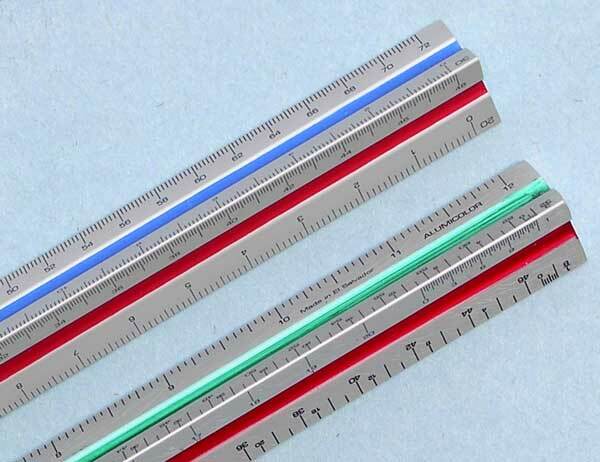 Color Coded Drafting Scales are solid aluminum with a different color coded groove on each side (red, green, blue), easily identifying your calibrations. 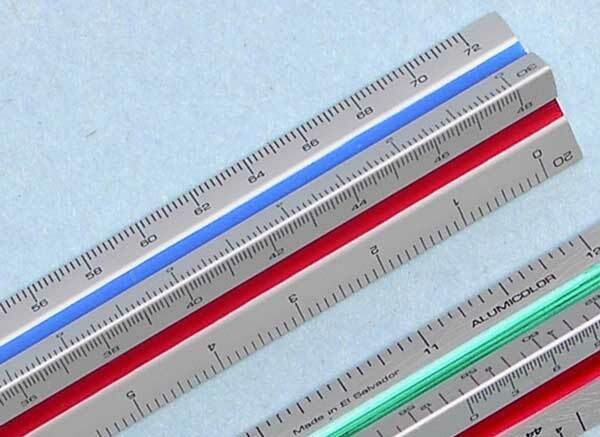 Calibrations are imprinted with the Alumicolor® anodizing process, which makes all markings part of the aluminum, giving each scale a smooth, tick-free finish that wears well and resists being cleaned off with cleaners or solvents. 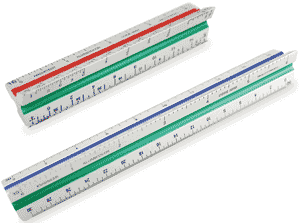 4" and 6" architect and engineer scales! Colors: Silver with red, blue and green colored grooves.